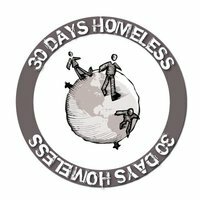 Last week I posted a story about a local minister that has gone 'homeless' for the month of January to draw attention to the plight of the homeless, and particularly foster kids that 'age out' of the system. If any of you have ever spent a winter in Ohio, you know it's no picnic. We've had lower than normal temperatures and more than normal snowfall. I've been following his vlog and tweets on facebook as he attempts to learn what it's really like to live on the streets. Last night, Pastor Ryan was featured in another local news story from our CBS affiliate WHIO TV. In this video, there is a short interview with Cindi Stevens of Target: Dayton. Yes, THE Target: Dayton - the one whose link is on my sidebar. Even though Cindi's comments were brief, you get such a good feel for who she is and how she feels about those she ministers to. In his interview, Pastor Ryan shares his impression of his trip to another local church that serves meals to the homeless, although on a much smaller scale than Target: Dayton. His feelings mirror those I experience when I serve at TD. I encourage you to follow Pastor Ryan as his eyes are opened to what it's like to be homeless and cold. I also pray that you will be encouraged to seek out a ministry in your local area and find out how you can become involved. Prepare for you life to be changed. Considering all the cold and snow this winter there are probably even more homeless folks in need than normal. What Pastor Ryan is doing to help is wonderful. I'll check out the news stories. Have a great weekend Lily. I just can't even imagine being homeless, but it could happen pretty easily to any one of us! We take our cozy warm homes for granted, don't we? I will have to go to your link and check it out. He's doing a wonderful thing! What an amazing fellow. God bless him. Wow! Thanks for sharing this ministry, Lily! Sounds like Target:Dayton is really being used by God. Neat way for this pastor to draw attention to the need for ministries to reach the homeless. God bless you as you serve those in need!